Even though the endocannabinoid system was discovered over 20 years ago, we are just starting to learn more about it and how it relates to gut health. Before we get into the science, let me share an incredible story and why I decided to start using CBD hemp oil with IBS clients in my private practice. My teenage son was injured playing hockey and suffered from a terrible concussion. About 6 months following the injury, his digestive symptoms developed including poor appetite, weight loss, vomiting almost every morning, and alternating diarrhea and constipation. After having an endoscopy and colonoscopy done, he had so much inflammation and damage in his esophagus and stomach the doctor insisted we use medication to heal the gut. He made very little progress, but the medication helped him tolerate the symptoms better and took the “edge” off. About 6 months ago, my son approached me with questions about using CBD oil since he had read about it online. Since I am an integrative dietitian and like to look “outside the box”, I decided to dive into the science and evaluate the current research to see if this was something worth using. I found enough evidence to know this was a safe therapy to use in conjunction with the medical treatment, so we gave it a go. When I first mention “CBD” to people, I often get a funny look. To clear up the confusion, I am referring to CBD hemp oil, which is derived from industrial hemp plants that are high in CBD and contain only a trace amount of THC. Through the extraction process of making CBD hemp oil, products may have all of the THC removed or may contain a small amount up to 0.03%. THC is the psychoactive compound found in marijuana that gives people that “high” feeling. Personally, I only use CBD hemp oil products that are completely THC free. CBD hemp oil comes in a variety of forms. My son started by using an oil tincture under the tongue. There are also gel capsules and pain creams that can be used topically. As you can see, this is not the same type of therapy as someone using medical marijuana and doesn’t require any type of medical card. In fact, you can buy CBD hemp oil at many pharmacies, health food stores, and from healthcare practitioners. Within a couple of weeks, I noticed my son’s appetite start to surge and he wasn’t vomiting anymore. He continued to eat and eat until he regained the 20 pounds he had lost. His stomach pains decreased and he slowly transitioned back into the kid he was before the concussion. He was able to eat anything without any symptoms, with the exception of dairy which had always been a problem for him due to a milk allergy. My son recently had another endoscopy and colonoscopy done and the doctor was shaking his head as he discussed the results with us. He couldn’t believe that his esophagus and stomach looked completely normal! 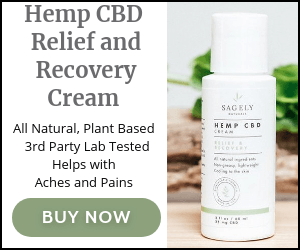 As I watched the transformation, I decided it was time that I try CBD as well for my lingering motility issues related to IBS. Again, within about two weeks, the issues slowly melted away. I was able to expand my diet to include some of the foods I had avoided for years. To this day, I continue to take my CBD every day and can say I no longer have symptoms of IBS. Based on my personal experiences, I decided that I wanted to learn how to use CBD hemp oil with my clients suffering from IBS. I recently completed a Cannabinoid Certification Program through the International Center for Cannabis Therapy (ICCT) in order to become an expert in using CBD hemp oil in clinical practice. Not something I would have ever imagined I would do as a dietitian! What About The Science Behind All of This? The endocannabinoid system, or ECS, is a biological system found in the brain and throughout the body that includes endocannabinoids and cannabinoid receptors. It was the discovery of the CB1 and CB2 cannabinoid receptors back in the early 1990’s that led to the establishment of the endocannabinoid system by Di Marzo and Fontana in 1995. (1) Think of the ECS as the body’s control system for maintaining homeostasis. Cannabinoids can be made inside our bodies naturally and are called endocannabinoids. These include anandamide and 2-arachidonyl glycerol (2-AG). Cannabinoids can also be found in plants, called phytocannabinoids. 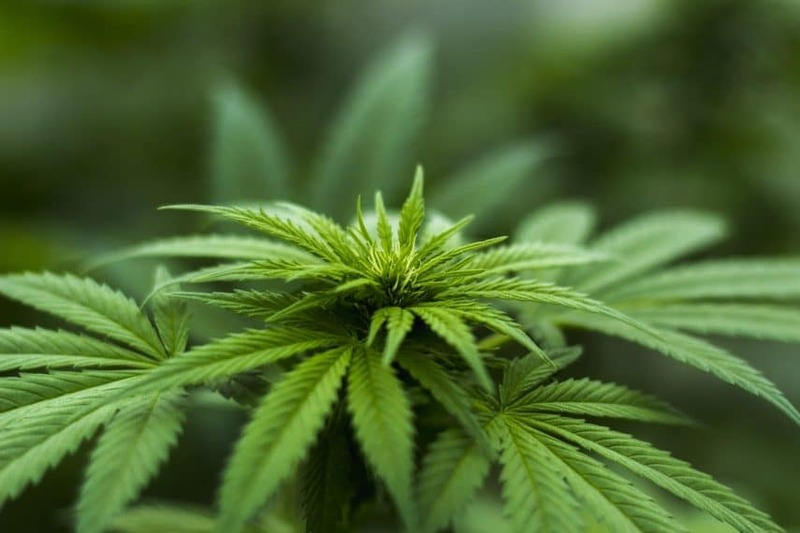 The most common ones come from the cannabis sativa plant including: delta-9-tetrahydrocannabidiol (THC), cannabidiol (CBD) and cannabinol (CBN). There are even several pharmaceutical forms of cannabinoids including: Sativex, Marinol, and Cesamet. (2) As you can see, there are different cannabinoids, found inside or outside the body, that can act on the cannabinoid receptors. How Does The ECS Impact The Gut? IBS is a functional digestive disorder that has a complex pathophysiology. Beyond the obvious digestive symptoms of gas, bloating, abdominal pain, diarrhea, and constipation lurks the altered gut motility, visceral hypersensitivity and mood disturbances. According to DiPatrizio (2016), “evidence suggests that dysregulation of the endocannabinoid system might play a role in intestinal disorders, including inflammatory bowel disease, irritable bowel syndrome, as well as obesity” (3). This is an interesting theory and one that we wait anxiously for researchers to explore and confirm for us. Read Article: IBS and IBD- What Is The Difference? Although my experiences thus far have been very positive, I wouldn’t recommend rushing out and buying CBD hemp oil without the guidance of a CBD literate healthcare practitioner. There will soon be a practitioner listing through ICCT and currently you can find CBD literate healthcare practitioners through the Holistic Cannabis Academy website. It’s also important if you are taking medications to first discuss adding CBD with your physician. 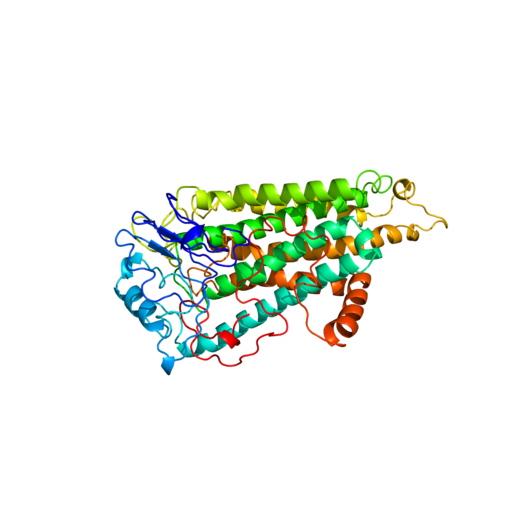 This is an exciting new area to watch as the science and research evolves as a potential new adjunctive therapy for digestive disorders such as IBS and IBD. Editor’s Note: This article represents the experience and expertise of the author. 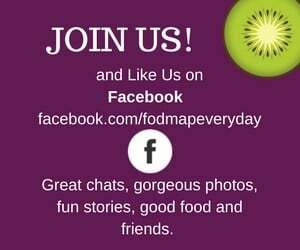 At FODMAP Everyday® contributors are chosen for their unique voices, expertise and their credentials if they are sharing medically based information. Our goal is to educate you, the consumer, so that you can make informed decisions about your own health care. There are an increasing number of options around where to buy CBD. First, make sure it is legal to purchase CBD (Hemp or Cannibidoil) in your country. Check online for yourself first and be sure you are following the most up to date guidelines you can find. 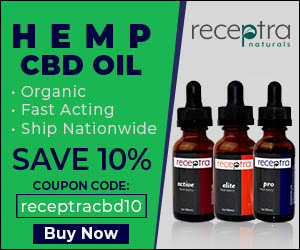 We have chosen these Hemp CBD sellers based on the following…. the product is full spectrum and made from the whole plant, they can provide third party test results of potency and prove they are clean from chemicals/pesticides, they are organically grown and preferably non-GMO. We are also affiliates to these sellers – meaning we make a small amount of money if you purchase some product using our link. The price to you is the same. 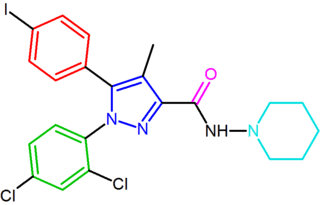 Cannabinoid: Term used to refer to molecules that are found in the cannabis plant and/or that interact with cannabinoid receptors, as well as the derivatives, and transformation products of those molecules. They can be classified as phytocannabinoids, endocannabinoids, or synthetic cannabinoids. Hemp: Strains of Cannabis sativa L. historically grown for fibrous materials found in stalks and seeds; contain minimal amounts of THC and low levels of CBD. Used industrially to develop items, such as clothing fiber. The flowering portions of the hemp variety may be used to extract CBD. CBD oil: An extract obtained from the flowering portions of the hemp plant, then dissolved in another oil (coconut, sesame, etc). It typically contains no THC and has no psychoactive properties. Storr, M. A., B. Yüce, C. N. Andrews, and K. A. Sharkey. “The Role of the Endocannabinoid System in the Pathophysiology and Treatment of Irritable Bowel Syndrome.” Neurogastroenterology & Motility 20, no. 8 (August 1, 2008): 857–68. https://doi.org/10.1111/j.1365-2982.2008.01175.x. “Endocannabinoids: Overview, History, Chemical Structure,” January 26, 2018. https://emedicine.medscape.com/article/1361971-overview. DiPatrizio, Nicholas V. “Endocannabinoids in the Gut.” Cannabis and Cannabinoid Research 1, no. 1 (February 1, 2016): 67–77. https://doi.org/10.1089/can.2016.0001. “A Look at the Endocannabinoid System’s CB1 and CB2 Receptors.” ECHO Connection (blog), April 18, 2017. https://echoconnection.org/look-endocannabinoid-systems-cb1-cb2-receptors/. “CBD & Hemp Supplement Reviews.” ConsumerLab.com. Accessed September 12, 2018. https://www.consumerlab.com/reviews/cbd-oil-hemp-review/cbd-oil/. Iffland, Kerstin, and Franjo Grotenhermen. “An Update on Safety and Side Effects of Cannabidiol: A Review of Clinical Data and Relevant Animal Studies.” Cannabis and Cannabinoid Research 2, no. 1 (June 1, 2017): 139–54. https://doi.org/10.1089/can.2016.0034. “2017 Glossary of Cannabinoid Terms.” Epilepsy Foundation. 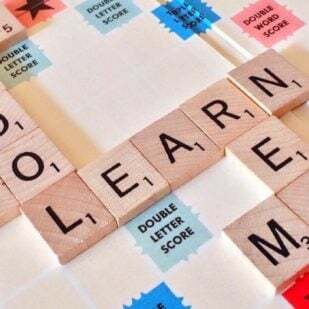 Accessed September 12, 2018. https://www.epilepsy.com/learn/treating-seizures-and-epilepsy/other-treatment-approaches/medical-marijuana-and-epilepsy/glossary. Dietitians & Nutritionists: What’s the Difference? I bought some CBD oil a months ago for my IBS-C and anxiety, I just don’t know how much I should be taking on a regular basis. Furthermore, I’m not sure if it is working. I have read many articles and 3 doctors, including my neurologist suggested I take CBD oil for anxiety. How much did you take Jody? Hi Valerie, Thank you for writing. Jody will get back to you ASAP but she is out of office today. Stay tuned! Hi! What dosage did you and your son take? Some of the prices on CBD oil can be quite steep. Hi Cee, Jody will get back to you ASAP but she is out of office today. Stay tuned! I’ve started experimenting with some CBD products as well but haven’t tried oils/tinctures. I’m curious about dose as well which other people mentioned, but also any brand recommendation? Hi! I’ve started experimenting with some CBD but haven’t tried an oil or tincture yet. I see others have asked about doses, I’m also chiming in to ask about that, and to also find out any particular brand recommendations? Thanks! Hi Jessica, Jody is just back at work today and we will get back to you shortly. When starting to use CBD hemp oil, it’s always best to start “low and slow” to get the desired effects. Think of it as “nudging” your body back into a state of balance. This is going to highly individualized. In general, a good starting point is 15-25 mg once a day, then slowly moving to 2-3 times per day. Some people find they need a much higher dose for symptom relief. It’s also important to note that other pathways should be supported at the same time, such as diet and lifestyle. •	Look for 3rd party test results—some companies use solvents and chemicals to make CBD hemp oil and you want to avoid these! If there is a lack of quality control, it’s possible for contaminants, heavy metals, and pesticides to be in the oil. Many companies post the results on their website. •	Ask where the hemp is sourced from—anyone with a good product should know where it’s coming from and the quality. I prefer to use products sourced with US hemp, where farmers are required to get certified by state departments of agriculture. •	Check the amount of THC present. It shouldn’t exceed 0.03%, but I prefer to use products with zero THC. Jody completed a Cannabinoid Certification Program through the ICCT (International Center for Cannabis Therapy). You could look for the same accreditation or also speak with your local pharmacist. In her local area near Pittsburgh, PA many pharmacists have guidance to offer, so don’t be shy to ask yours! Thanks Dede! Sorry for the double post, I didn’t think it went through the first time because I did it on mobile 🙂 And thanks for the info below! I’m happy that you found relief, but it didn’t work for me. I thought perhaps I might have the wrong dosage or strength, but I’ve since talked to 4 others who have IBS and had no relief in digestive problems since taking it. a rather expensive experiment, and I’m not sure it’s the miracle herb that it’s sometimes made out to be. I’ll wait until more research Is done which specifically pertains to IBS before considering it again. 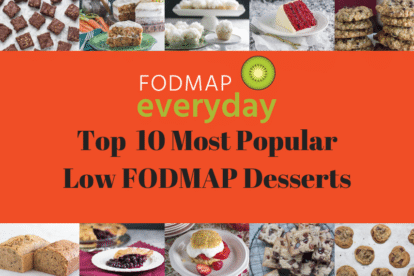 I actually found that working through the long process of a FODMAP plan gave better and much longer lasting results. (And it was cheaper and nutritionally wiser). Maybe that was just my experience. I’m glad your son is better. Good luck. We do all have to keep trying to see what will work for us individually. I also tried CBD for IBS and did not have any luck with it. I have malabsorption issues and I felt like my body was unable to absorb enough CBD for it to fully work. I’m wondering if I wouldn’t get better results vaping it instead of taking it by mouth. Finding the right form and dose of CBD can be tricky and so individualized. Using an oil tincture that is held under the tongue for at least 1 minute will be absorbed through the mucous membranes and not through the GI tract. Even with malabsorption issues, this should not pose a problem with absorption. Vaping is another form that could also be used that bypasses the GI tract. The main difference is the oil tincture will take longer to take effect (usually about 1-2 hours) but lasts longer (5-6 hours) and the vaporized CBD works quickly but doesn’t last too long (maybe 1-2 hours). You may need to try different products and doses before finding one that works well for you. I hope you find this helpful! Thank you for sharing your personal experience with CBD hemp oil. I’m sorry you didn’t get the results you hoped for, but also happy to hear that the low FODMAP plan worked so well for you! IBS is such a complex GI disorder and so different for each person. I suspect that the CBD hemp oil worked for myself and my son due to the fact that we both had motility issues and it helped to nudge the cannabinoid receptors into better balance, thus working on the ‘root cause’ of our GI symptoms. Honestly, I don’t recommend CBD hemp oil for all of my clients with IBS and when I do, it’s as an adjunct to diet and lifestyle. Typically, I find that the ones with motility or visceral hypersensitivity respond positively to the use of CBD, but it’s definitely not for everyone. I have had IBS-D (alternating C) for years, but am now heavily on the IBS-C side. I’ve been working with a dietitian to find a proper diet to relieve the constipation, but so far it’s not working super well. I asked my dietitian about using CBD oil for the IBS, but she vetoed the idea, saying that for constipation it’s not a great idea, as it slows the digestive tract (relaxes = slows) (as far as I understood her). I’ve already bought the product, and haven’t been using it for this reason, but wondering whether I should give it a go? Do you have some advice to share? I’m really feeling stressed about this new development, and find the C much more uncomfortable than the D.
Thank you for reaching out and this is such a great question! I’m sorry to hear that you are still struggling with the constipation issues and they can be frustrating. At this point, I don’t think there is enough evidence for us to be able to suggest whether CBD hemp oil will help specifically for IBS-D or IBS-C. What we do know is that CBD hemp oil can help to balance the endocannabinoid system. When this happens, you may see improvements in visceral hypersensitivity, inflammation, and relaxation of the smooth muscles (anti-spasmotic effect in the colon)–which can calm down the GI tract and improve bowel patterns. I don’t think there is any reason why you can’t do a trial with CBD hemp oil for several weeks and assess your progress. You may also consider working with your dietitian to rule out SIBO, which can be another cause for constipation in some people with IBS and perhaps including different forms of fiber if you haven’t already tried that. I find partially hydrolyzed guar gum to work very well in cases like yours. Well to be fair it’s still a pretty new thing, and we still don’t really know much about what all it can actually effectively treat. I’m sure as more and more stories like yours come out, gastros will begin considering it as a potential treatment 🙂 Some people probably think it’s some kind of conspiracy or something but I think it’s more likely that a lot of doctors simply don’t even know that it’s an option. I think at this point, Anton, we just need more research on CBD in humans. Much of the research has been done on animals and most physicians want to see more concrete evidence before making recommendations. I just started CBD gels for my IBS and they helped almost immediately! I got them at a pharmacy as recommended. My IBS has been helped by taking Effexor for years but about a year ago I came down with a stomach virus and have had increased pain and upset stomach ever since. I went to my gastro doctor but he never mentioned CBD oil so after online research I decided to try it. I bought a months supply for $50 and see a marked improvement. I don’t know why he wouldn’t suggest it when my meds stopped working. I’m thrilled and hope that continue to feel better! Lisa, thank you for letting us know. It is such a new approach – and as is so often the case, we, as the patients, have to (and should!) keep up-to-date on options and sometimes we do have to be the ones to bring them up to our doctors. We are so happy that you have found something that works for you. Maybe in the future our GIs will become more broadly informed. Or, perhaps this will remain the area of specialists. Hi Jody! 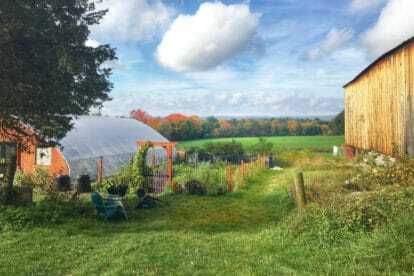 I have recently been perusing info on CBD tinctures and I came across your post. I currently struggle with IBS symptoms including motility issues, visceral sensitivity, and constipation. Additionally, we have a new baby in the home and I could use a little extra help on relaxing, so that I don’t further aggravate the “IBS”. It was suggested to me that I try CBD oil! Thank you for all of the info above. I am hoping that you might be able to suggest a brand and/or a particular tincture that you’d trust for such symptoms? 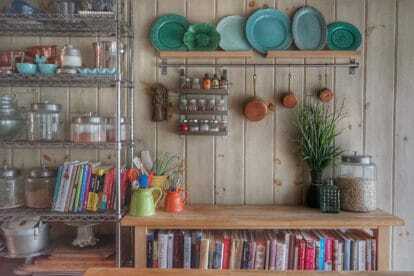 There are so many products on the market and it’s a bit overwhelming sifting through each one and finding one that you can feel confident about. Hi Jenn! I’m so glad you enjoyed the article. It can be very confusing when trying to find a CBD product and just getting started. A few quality products you could take a look at are Bluebird, Elixinol, and Medterra (this is the brand I recommend in clinical practice and use personally). Another suggestion when getting started is to be consistent in using a product and start slow. It may take some time to see the effects and everyone responds a bit differently. Good luck! Jody! Thank you! I was hoping you might be able to explain the difference in cbd/hemp oil from the above mentioned brands vs buying cbd oil with traces of THC. It was suggested to me that the THC is necessary to get the full benefits of the cbd? I tried using cbd oil the last few days I noticed that it makes me very groggy and a little nauseous…is that normal? To clarify for you, some of the brands I mentioned sell what is called a full spectrum CBD hemp oil. When using a full spectrum, you will get an entourage effect because the entire hemp plant is used which contains terpenes. It’s not the THC that gives the “full effect” when using CBD hemp oil. Legally, all CBD hemp oil must contain less than 0.3% THC, but many brands actually remove all of the THC. Medical marijuana (much different than what we are talking about here) can be found with both CBD and THC in much higher amounts. As for your symptoms, I would suggest reducing the dose a bit and go a little slower to let your body adjust. Hope this helps! Thank you for sharing your and your son’s experience with CBD, Jody. I have long-standing IBS which worsens with stressful situations, keeping me tied to a nearby bathroom at times. I developed unusual constipation for which I could identify no cause: my diet had not changed, I used all kinds of probiotics and fermented foods in case the gut microflora were off, but had to resort to using enemas (up to 1 quart of water with baking soda and sea salt in it or else I used a coffee enema in case the liver had toxins) and/or ozonated magnesium (Aerobic Life Mag 07) to keep my sluggish bowels clean. The tipping point for me was development of excruciating nerve pain in my lower right back area. I went to see my chiropractor who is a top-notch applied kinesiologist. 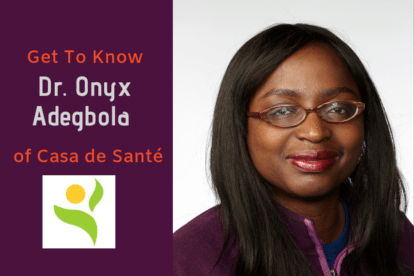 Through muscle testing he ascertained that the problem was with a muscle in my left armpit that had blocked the main lymphatic drainage to my body, thereby causing toxic build-up in my large intestine (hence the sluggish bowels) and resulting in inflammation of the lower back nerves. He fixed the muscle and told me it would take a few days for the toxins to drain out, and it did resolve as he said it would, though I did have to spend a second night flat on my back with ice packs under my lower back to handle the pain…the next night I got by without the ice, and by the third night I was able to gently turn onto one side or the other… and after a few more days, I was seemingly back to normal. Unfortunately, I suspect from the muscle strain of loading and unloading my luggage during holiday travel, the pain in my lower right back returned, and my bowels were sluggish again. I attempted to “fix” the muscle by mimicking my recollection of what my chiropractor had done, but the pain in my lower back was not going to dissipate soon. My father had some CBD oil and suggested I try it. Each had 15 mg of CBD oil in it (from 60 mg of hemp oil). I took one, then another…and then a third one after yet another hour to no avail. I gave up and assumed it did nothing, but it turned out the effect was delayed. About 5 hours later I began to feel relief! I didn’t realize it was from the CBD oil until the effect wore off and the pain returned. I then took 2 more CBD softgels and in a couple hours I found significant relief! Through experimentation I discovered I needed to take 30 mg of CBD oil every 6 hours to keep the pain at bay. At $1 a pill, this was an $8/day solution that I could not afford to continue! I figured that when I got back to my hometown, I would see my chiropractor again and be “fixed” so that I would not need the CBD oil. Upon my return home, though, I weaned off of the CBD oil (1 every 6 hours and then none) and my pain was actually gone! My system had healed. Having been off of the CBD oil for over a week, I noticed my IBS worsening again, so it occurred to me that the CBD oil had also relieved me of some of my IBS symptoms while I had been on it. Your post confirms that in cases like mine, where the IBS seems to be nerve-triggered, it can help. I’ve addressed all other underlying possible causes (from parasites to food intolerances, from structural (spinal) causes to diet and nutrition). CBD seems to be appropriate to help heal the nerves now. I am hoping it will actually HEAL the nerves so I don’t have to stay on it forever because I cannot afford it financially! I think it’s important for those with digestive issues to see a good chiropractor, and ideally one who also does applied kinesiology, and/or one who has expertise in upper cervical spine work. There are spinal nerves that affect digestion, and if this part of the spine is locked up – due to trauma to the body, stress from hunching over a computer keyboard, or stresses on it due to other misalignments in the spine – then digestion and elimination will always be a struggle. CBD can provide some relief by healing the nerve damage in the spine, but proper adjustments seem to be getting to another key underlying cause. Thank you so much for sharing your personal experience with CBD hemp oil. 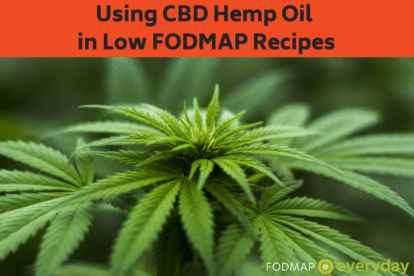 I believe that CBD can be a useful tool along with other lifestyle interventions such as the low FODMAP diet in helping to bring the body back into balance. As you mention, the cost for using CBD can be high especially when using a high dose. As the research comes out, it may soon be more clear as to what the optimal dosing is and the ideal treatment length. Addressing stress is often a big part of reducing the symptoms in IBS and finding what works best for you is important. I hope you continue to find ways to manage your IBS symptoms and enjoy better health. Hi! After reading your text about CBD oil I look if I can by some in Canada and unfortunatly it is sold out at the legal shop. Do you know if smoking CBD weed without THC does the same effects? I stars the low FODMAP diet last week cause I have Ibs since couple of years. My back start to heard ready badly since this summer, and I think it’s probably from my Ibs problem. 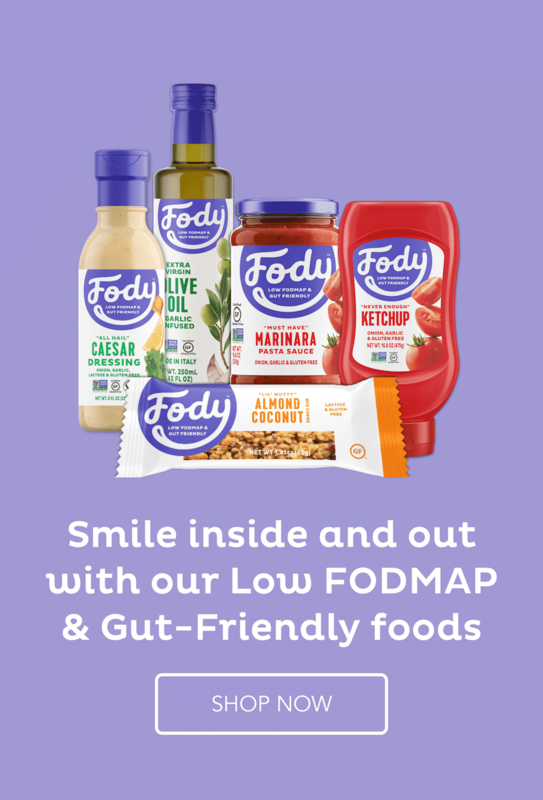 I am curious to see if CBd can held me… for now FODMAP does nothing? 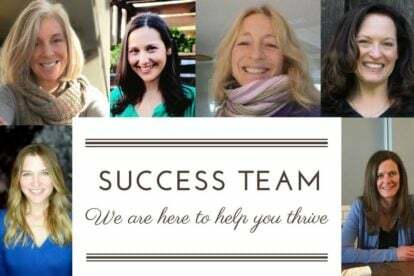 Hi Marie, we have referred your questions to our Success Team RD Jody Garlick, the author of the article, as she is the most knowledgeable about these products. We appreciate your patience and we will get back to you. Do you know if the effect are the same with CBD weed? In canada it’s hard to find oil. I already post something yesterday but it does show here, sorry if you receive my two post. Thank you for your question about CBD in the leaf form. Using this form of CBD will give the same effects as the tincture (oil). One of the benefits of using a leaf form is better and faster absorption in the body. When CBD is smoked or vaped, it goes directly into the bloodstream and bypasses the liver and digestion. 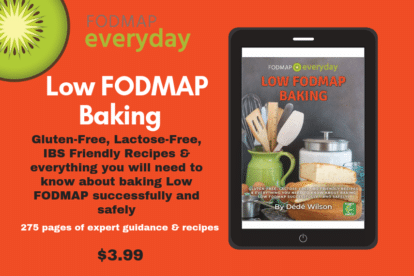 I’m also happy to hear that you are trying the low FODMAP diet to help manage your IBS symptoms. If you are not sure whether it’s working for you, I would suggest finding a dietitian to work with who specializes in this diet to help you navigate your diet and symptoms. Is there a difference between CBD oil from marijuana vs hemp? Does one kind have more strength. I assume the CBD from marijuana may contain a bit of THC but is one or the other CBD oil better for IBS. Lori, Thank you for writing. Your question touches on three issues: product derivation, product content and legality. In terms of product derivation and content, you can find CBD oil made from marijuana and from hemp that only contains CBD. You have to read labels and understand what the product is. And, the strength of the product (for either CBD, THC or both) is going to vary from product to product. This is why working with someone like Jody makes so much sense! Again, labels will explain everything. The CBD products that we have provided links for are products that we believe in and recommend. Then, you should be aware of the legality of the products in your jurisdiction. Some states in the U.S. allow for commercial purchase of marijuana based products, but they remain illegal in other states. 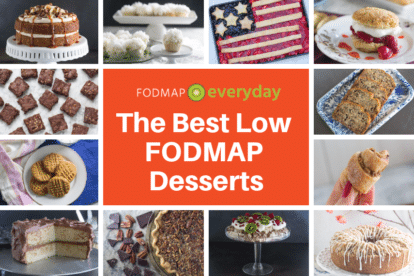 FODMAP Everyday is in Massachusetts, where it is legal, so it is a hot issue around here. As Jody stated, she prefers to use hemp derived products that are THC free. JODY, I AM CURRIOUS TO KNOW HOW MUCH CBD YOU USE FOR IBS. I HAVE TRIED MEDTERRA AT 50 MG PER DAY WITH NOT MUCH RESULT. Thank you for your question regarding dosing. For some people it might take more time to see results as I’m not sure how long you have been using it. Generally, I see that 2-4 weeks is a good period of time. Fortunately, CBD hemp oil has been researched at doses as high as 1500 mg/day without any side effects. You can always try a higher dose for a period of time to see if more benefits result or you may consider trying a full spectrum product instead. Everyone is a little different and it might take more trial with dosing to see the intended benefits. THANKS FOR THE MESSAGE JODY. I USED 25 MG FOR TWO WEEKS AND THEN 50 MG FOR TWO WEEKS. YOU SAY FULL SPECTRUM, I AM ASSUMING YOU MEAN CBD AND THC? I AM CONSIDERING THAT AS WELL, THANKS AGAIN, DAN. What I was referring to was a full spectrum CBD hemp oil. This type of CBD hemp oil differs from an isolate because it contains not only CBD but also other cannabinoids along with terpenes. There is some research showing that including other plant compounds like those might be more helpful. THANKS JODY, I’M AM RESEARCHING THIS AS WE SPEAK. Are the products you recommended THC free? 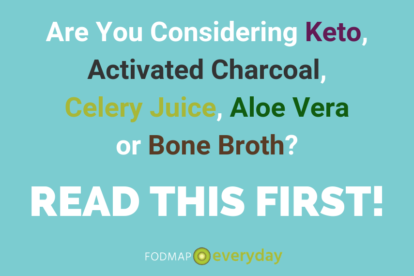 I am on a Low FODMAP diet, but I had a set back during reintroduction. My gut is having a hard time resetting, so CBD oil sparked my interest. However, I have never used a cannabis product of any kind before. I have no desire for a high, just want to get my IBS under control. All CBD hemp oil products are required to have no more than 0.3% THC by law and therefore will not give you any psychoactive effects. Of the brands suggested, Medterra is completely THC free. Another brand you could take a look at is Joy Organics, which is also completely THC free. I hope this helps and you find relief from your IBS symptoms. 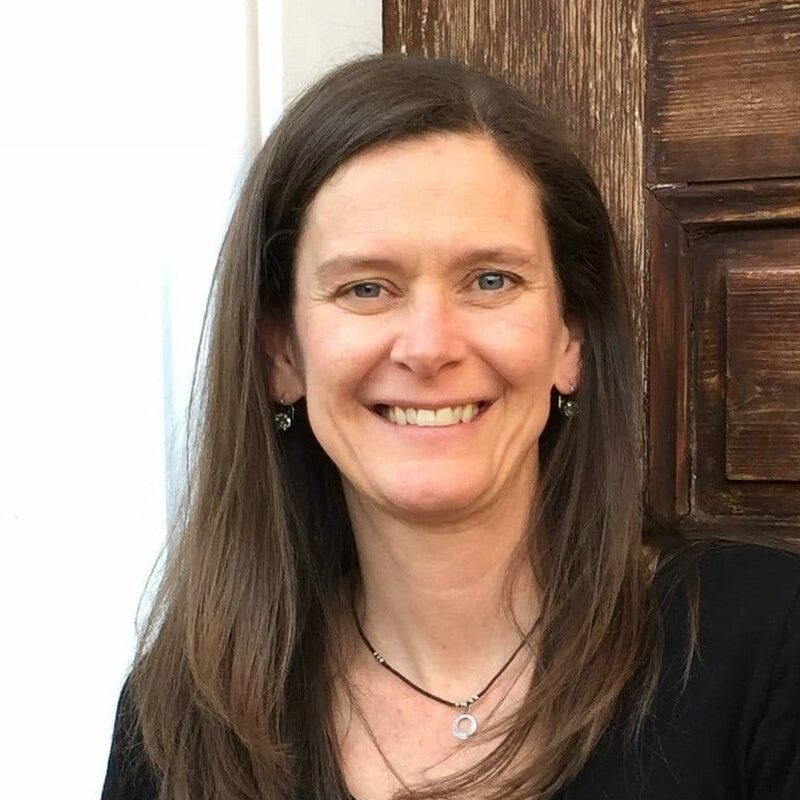 Jody is a Monash trained RDN and when she isn’t driving her two boys to hockey practice or games she can be found teaching her many clients how to navigate their way to better health through nutritional education. 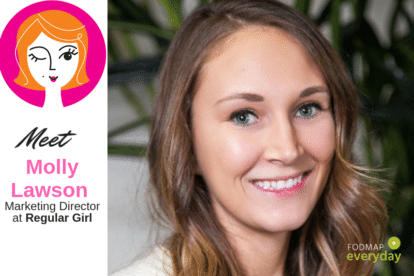 Focusing her love of real food and extensive professional and personal experience and education in a way that reflects her belief that you can improve your health dramatically through better eating habits. Learn more about Jody on her bio page. 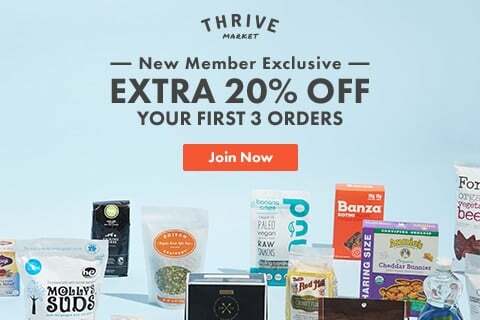 Get Your $20 Discount Here!